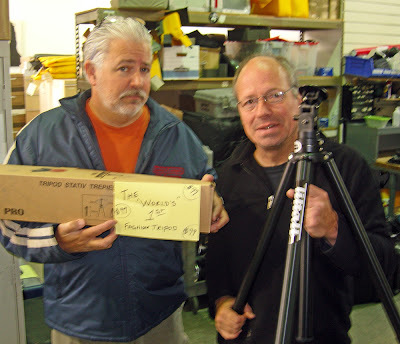 Gary- I teach photography at the local junior college here and one of my students has a silver Tiltall tripod. One of the rubber feet/spike assemblies came off some time ago and he bought a replacement. The new foot doesn't screw in completely for some reason. Might you have any ideas as to how to solve the problem for him? Thank you, Ed Kreiser, The Levan Institute, Photography Division. Wobbly Center Column on Marchioni. 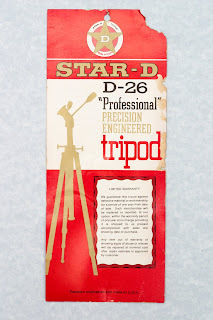 Fred- Part 034 is a strip of adhesive velcro which is installed just inside the lip/edge of Part 033 and will solve your problem as your original strip probably aged and fell out some years back. As adhesive velcro loop is available from a good sewing / fabric shop in various versions and from various manufacturers - choose the stiffest or most dense version. 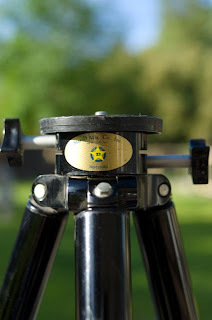 Don't search too long, get whatever you can find to start with, knowing that there are other versions available on Amazon or EBay. I am refurbishing a Star-D and I am interested in a pair of TEP-4 in Black. 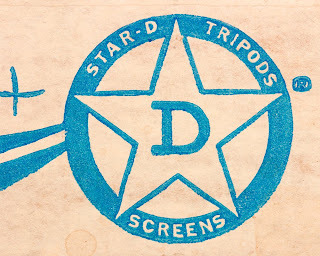 I seem to remember that the Star-D will accept parts that are made for a TiltAll. Attached are jpegs of my tripod, it is a TiltAll clone (I was not aware that Star-D made other models). So I think that the TEP-4's will fit. 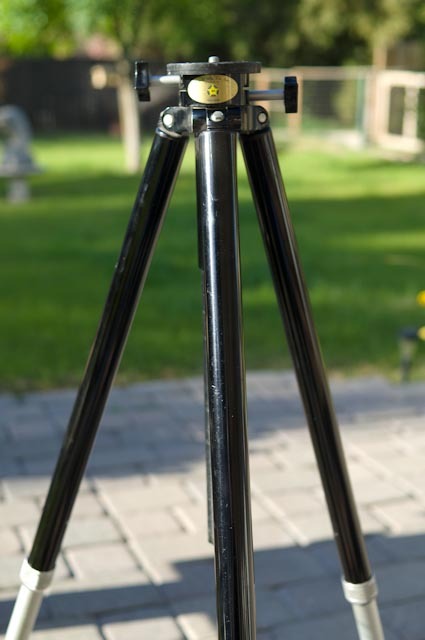 Just as a side note, I have owned this tripod since the early 70's and currently I have it fitted with a Gitzo series 3 center column so that I can use my ball head. 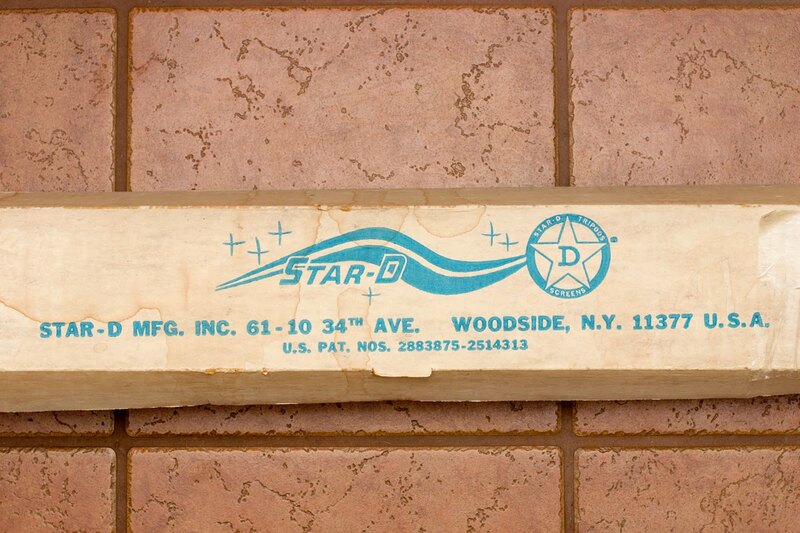 Jim - It is interesting is the yellow label saying "New York" as the Davidson Company was/is in Los Angeles. Hopefully someone reading the blog can fill us in on the NY/LA relationship or lack thereof. 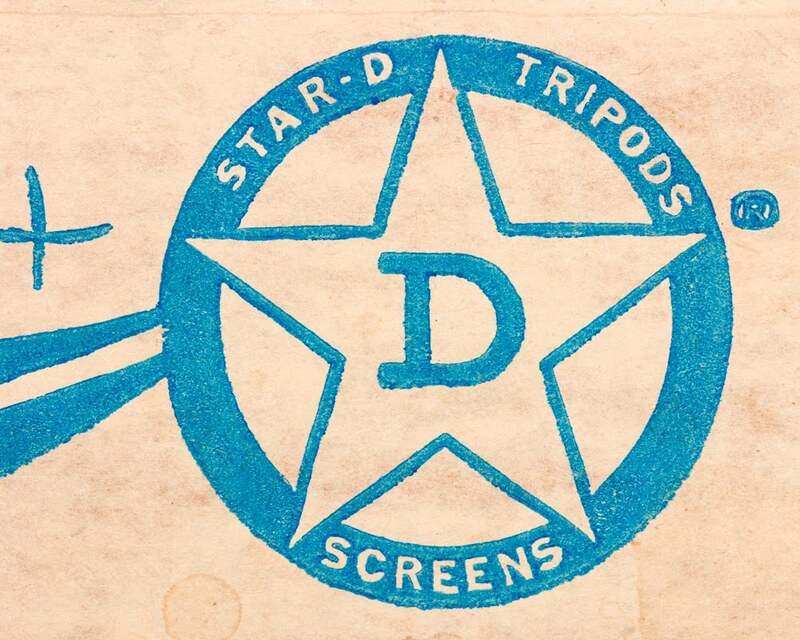 I am beginning to agree with others that the "StarD" tripods of Davidson were unrelated to the StarD Tiltall, though I am puzzled as to why one would lift the brand "StarD" without some agreement. 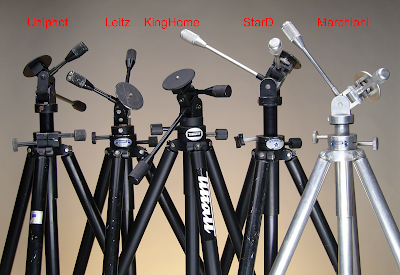 Several have used the Gitzo 3 column with their Tiltall. 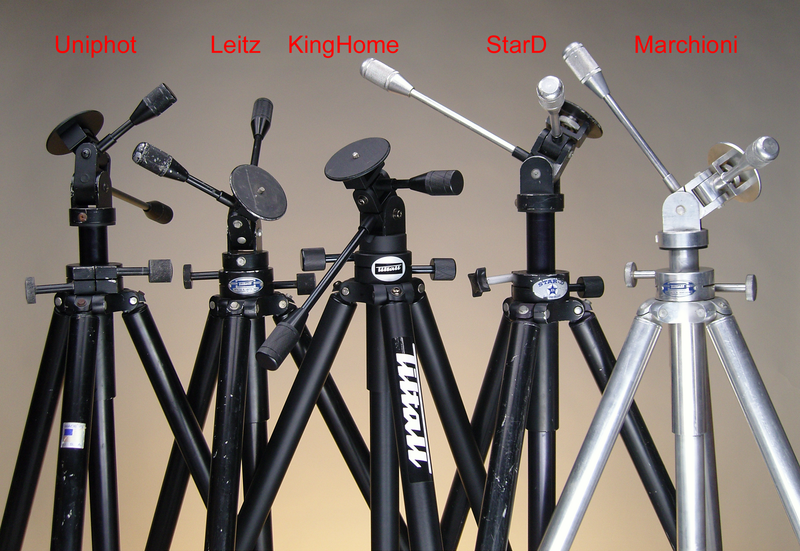 In fact, I have my Tiltall head/column in my Gitzo. Turnabout is said to be fair play. tiltalls that I own. 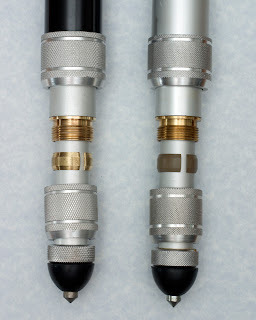 Both have threaded brass inserts for leg locks. 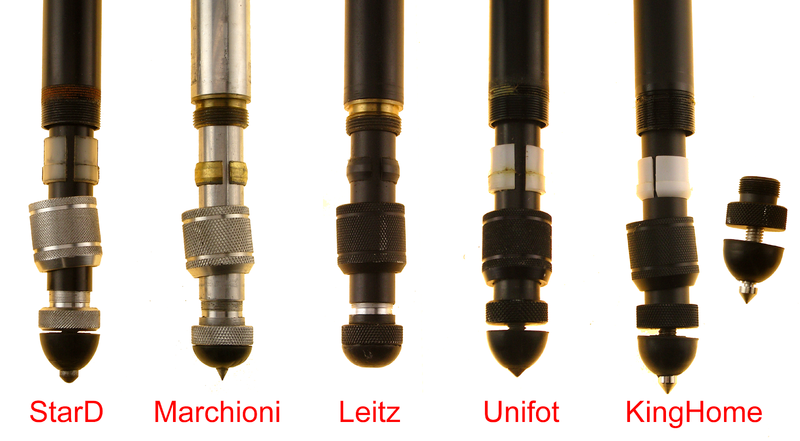 also attached photos that may be of interest. not very knowledgeable regarding the finer points of publishing). Thank you Clair. 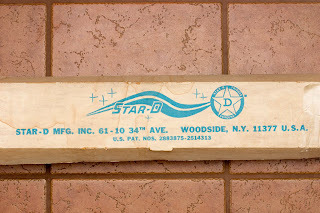 I had yet to find anyone to explain the existence of both west and east coast NYC StarDs and will post by direct email for the moment and edit and add your .doc file during the weekend. 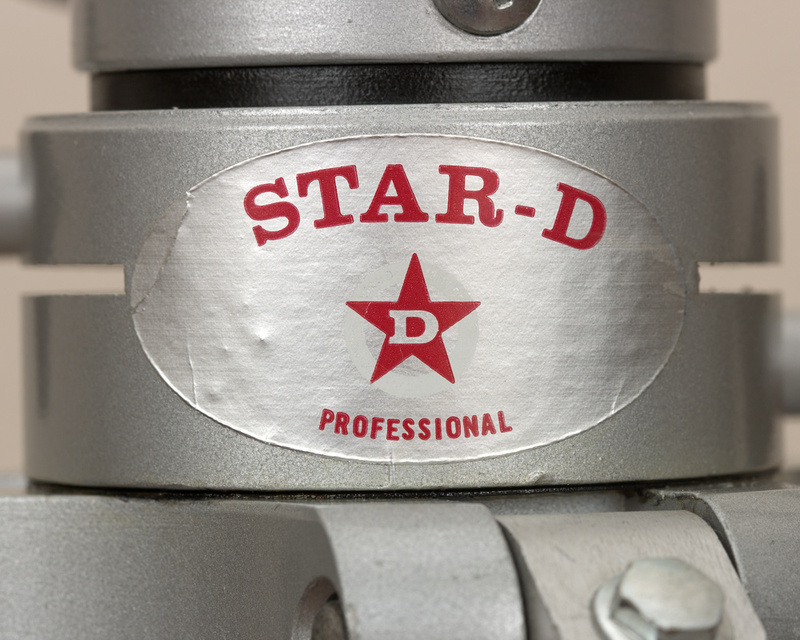 As you see from my earlier blog post,I did speak to Sam at the usual suspect, Davidson Optronic in LA, but the had no idea there was an east coast StarD. 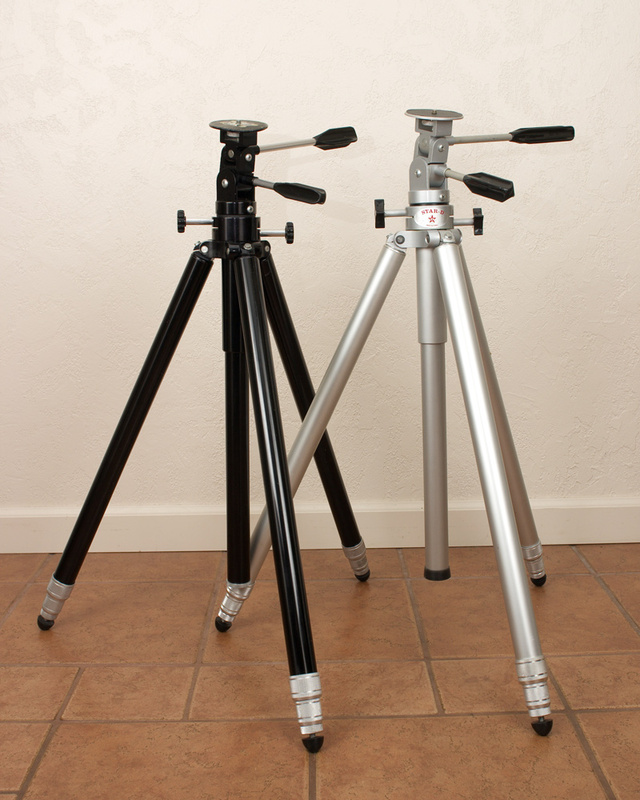 MD- Yes, it's a monopod idea, and the TEP6 does attach to the top of removable leg in the current KingHome iteration. 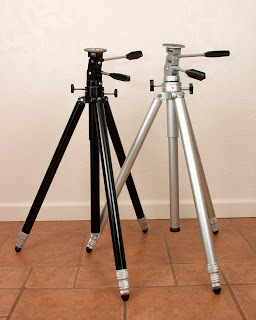 But the "idea" is an evolution from Tiltalls with all removable legs, to only one removable leg, then finally the TEP6 exchange from bottom of column to become a 1/4-20 top on the removable leg - I believe at the late Unifot models - I have not learned who suggested this "crowning" achievement.